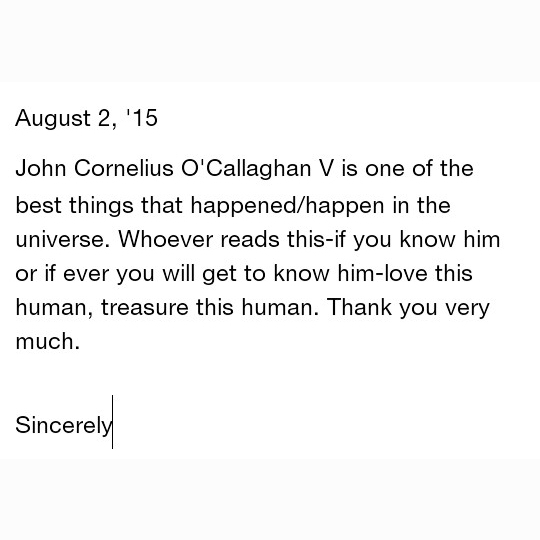 I do not know what to feel that John known as being utterly sentimental eventually went emotional. Seeing him cry on stage on a video and reading fans’ posts, my knees quiver, my eyes automatically pour out. Haven’t met him but the empathy felt with this human is so poignant. He’s such a survivor! I do not really know what happened to his past and what he tries to fight now but I just wanna say he’s one of the best humans one could ever have or know. His wisdom has been helping a lot of people and what an amazing human he is to constantly care for everyone, to encourage souls. Thank you John for being honest about yourself and for what you feel and above all THANK YOU FOR GIVING YOURSELF ANOTHER CHANCE TO LIVE. The universe needs more of you.